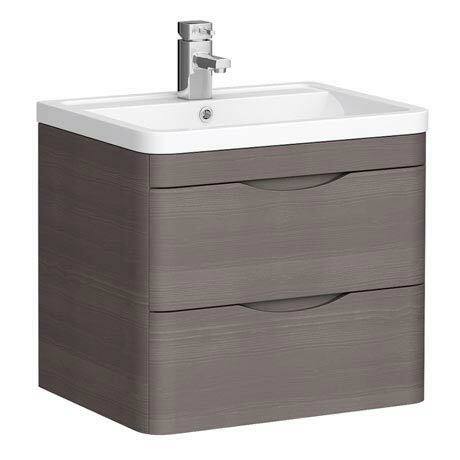 The modern Monza wood effect stone grey wall hung vanity unit includes a stylish 600mm wide poly marble basin, features soft lines and gentle curves with 2 large functional soft closing drawers providing plenty of storage space. "This sink is such high quality, so pleased with it. So modern!"